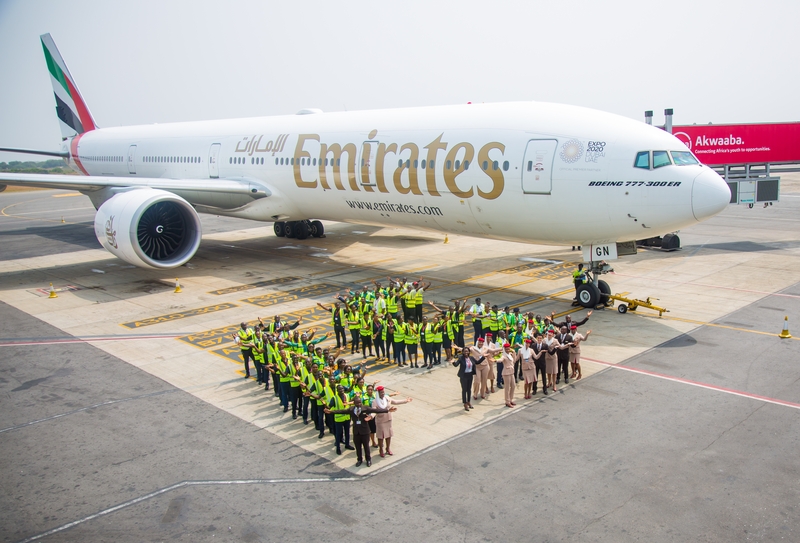 Emirates, the award-winning airline has celebrated a milestone in its operation to Ghana, marking 15 years of service to Accra. 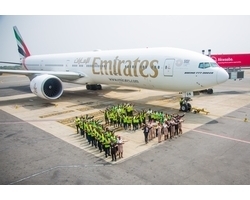 The first Emirates flight flew into Kotoka International Airport in January 2004, and the airline has since carried close to 1.6 million passengers between Accra and Dubai and its network. The airline started operations in Ghana with three flights a week, increasing to six flights a week in March 2005. Currently, the airline operates daily Abidjan - Accra - Dubai flights to over 150 destinations via its Dubai hub. This is set to increase to 11 weekly flights from 2nd June, 2019 following the announcement of four additional weekly flights to Accra. For over a decade and a half, Emirates has stayed committed to not only connecting Ghanaians to the world, but also developing Ghana’s aviation industry. October 2018 saw Emirates operate the country’s first A380 to Accra, partnering with the airport to test its operations and infrastructure to accommodate an A380 service. “Africa is one of Emirates’ key growth regions in its global network and Ghana is an important market for Emirates. In 2018, Emirates carried over 180,000 passengers between Accra and Dubai, and we are committed to facilitating trade, tourism and cargo exports in the years to come”, says Cathy Wesley, Emirates Country Manager. Top Emirates destinations that Ghanaians travel to include UAE, China, USA, Singapore, India and London. On all Emirates’ flights, customers can look forward to hours of entertainment on the award-winning inflight entertainment system, ice, which offers over 4,000 channels of on demand audio and visual entertainment, from the latest movies, music, audio books and games, as well as family friendly products and services for children, including complimentary toys, kids’ meals and movies. Emirates SkyCargo also remains a key enabler in facilitating global trade in Ghana by carrying a total of over 73,000 tonnes of cargo to and from Ghana. Emirates SkyCargo has also faciliated the export of over 41,000 tonnes of cargo majority of them being fruits and precious metals. On the Accra - Dubai route, Emirates operates the B777-300ER aircraft which is one of the most technologically advanced and efficient aircrafts in the world. The aircraft’s advanced wing design, efficient engine and light structure makes more efficient use of fuel. This means significantly less emissions than similar aircrafts, making it one of the most 'green' long range commercial aircraft types. Travelers on board all Emirates flights get to experience Emirates’ award-winning multinational cabin crew, of which over 120 are Ghanaians, while enjoying a chef prepared regionally inspired meal such as Waakye or Jollof using the freshest ingredients, accompanied by a wide range of complimentary wines and beverages. The airline currently has a total fleet count of 274 aircrafts and can boast of the youngest fleet in the industry.